Home » General Interest » Why Do We Get Pins & Needles? Whether you are sitting still for hours, perhaps with your legs crossed, or wake up sleeping on your arm the “wrong way,” you have no doubt experienced pins and needles – sometimes referred to as your “[insert body part here] falling asleep”. Though this pain soon alleviates itself – what is happening in your body to cause such an irritating sensation? Your nervous system is composed of the brain, the spinal cord. and the nerves. The brain and spinal cord comprise the central nervous system, which is essentially the control centre of your body and is in charge of everything you do consciously along with everything your body does automatically, like breathing. The brain and spinal cord are made of complex nerve bundles you can think of as busy information highways in your body. 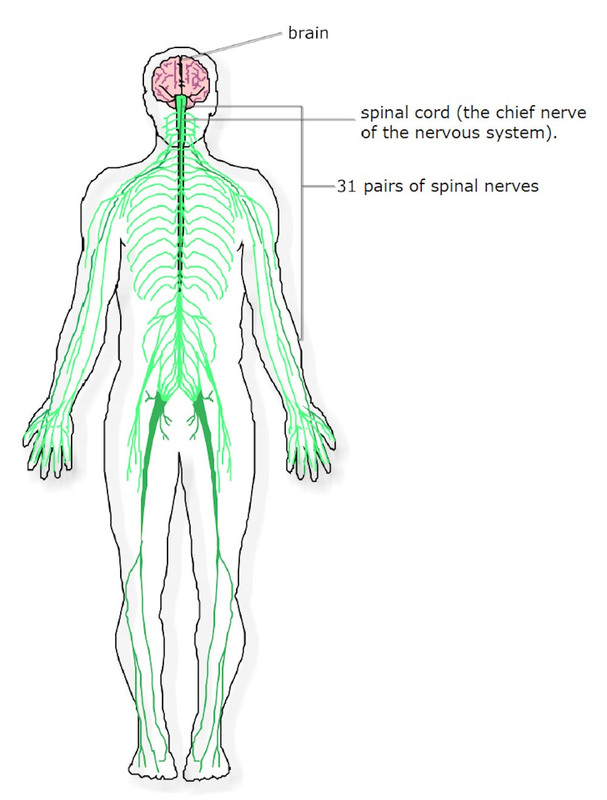 The rest of the nervous system is made up of the nerves that attach your brain and spinal cord to your extremities. When you are moving your little finger or toe. the nerves carry the information to the peripherals of your body. 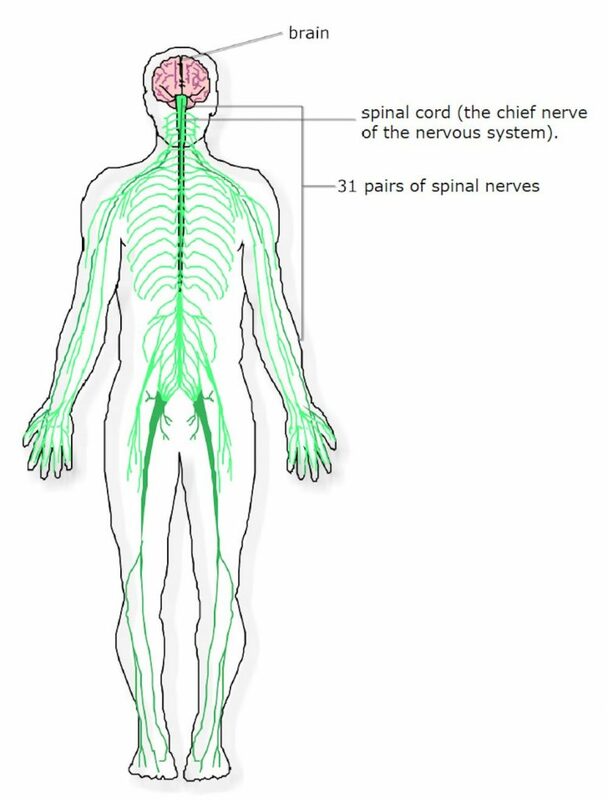 Think of your nerves as smaller roads leading off of the brain and spinal cord highways. The nerves themselves are made of a bunch of long cells called neurons, which use electrochemical signals to transmit information throughout the body. Each neuron is specialized to a specific type of stimulus and carries an impulse in only one direction. For Example : If a thermal (heat) receptor in your tongue senses a rapid increase in temperature due to drinking scalding-hot coffee, that neuron will send a signal to your brain. Your brain will process this information and then send another signal back telling the muscles in your mouth to spit out the burning coffee. This system is at work to keep your body safe. So What About When A Body Part “Falls Asleep” ? When a part of your body “falls asleep,” it means there is a disturbance or traffic jam in the pathway of your nervous system. When you cross your legs or sleep on your arm. you are cutting off the blood circulation to specific nerves. Your brain senses that the nerve has been disturbed and turns up the volume in the nerve, increasing the activity, creating that tingling or sometimes painful sensation. This can be relieved by taking away the pressure and allowing the blood to flow back to the nerve. The feeling you get when you hit your “funny bone” happens in a similar way; when you bump the ulnar nerve in your elbow, the disturbed nerve reacts with a painful sensation because the nerve has been hit directly. If you experience pins and needles frequently, you may have neuronal problems or damaged neurons indicating a more serious issue. Less frequent pins and needles are a natural sensation created by your body to alarm the nervous system when it thinks something is wrong. So go ahead and wake those neurons up!